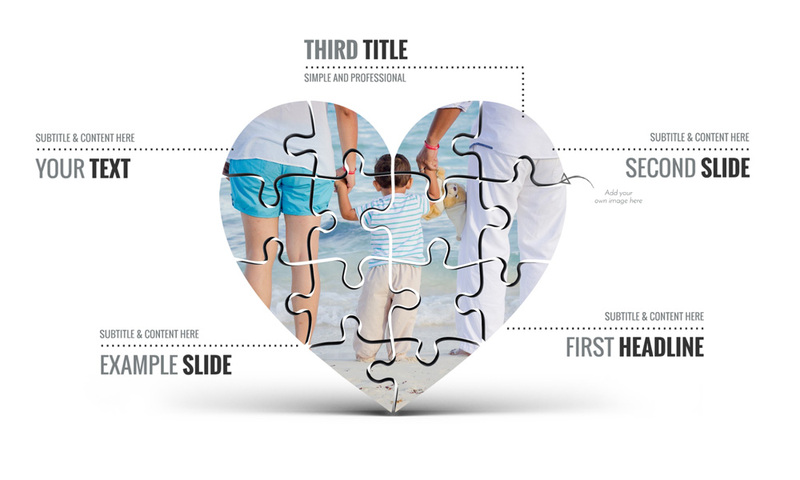 A simple infographic Prezi Presentation Template with a 3D jigsaw puzzle heart shape. Present about love, marriage, divorce, relationships. Insert your own image(s) to the heart easily. Simple and professional love themed Prezi Presentation Template. Great for sending a e-card or talking about relations. This entry was posted in Best Prezi presentation templates and tagged 3-d, 3d, about, and, breakup, card, complicated love, divorce, e, e-card, ecard, fall in love, for, great, heart, heart puzzle jigsaw, heart shape jigsaw puzzle, image, jigsaw, jigsaw puzzle, jigsaw puzzle heart shape, love, love presentation template, love prezi template, marriage, puzzle shaped heart, relationships presentation template, relatioships, romance, valentines.